Especially after the downing of a Syrian jet by the Americans. It’s in The Sun, on talk radio, and of course whispered by the “underground” corners of the Internet. Passive monitoring of geopolitical movements have led far too many to conclude the next world war is right around the corner. It isn’t. Not that it can’t be, just that it isn’t. At least, not over Syria or North Korea. Some of this comes from what Bill Maher on Friday described as “the outrage industrial complex that makes everything that comes along an existential crisis.” It’s the bold words on CNN, ever starker, ever bigger, that come with what turn out to be inconsequential strikes on a Syrian air field. It’s Fox News publishing poorly-reasoned open letters from country music singers to Barack Obama. Media on both Right and Left find avid viewers whenever “World War III” is part of their search engine optimization. There are a few common presumptions that lead to this kind of talk. First, there is a widespread belief that a world war could be accidental, a Cold War leftover partially informed by an incomplete understanding of World War I. Second, many think that media hype equals geopolitical importance, and so when media outlets blare that Trump has just attacked a Russian ally, we’re all expected to duck and cover while keeping our eyes trained on the very media outlets who demand our 24/7 viewership. Yet the United States government does not formulate policy, nor behave militarily, based on the size of a headline font. Yes, World War I was stumbled into by the great powers. Austria-Hungary didn’t think Russia would mobilize to save Serbia, as Russia did not think Germany would mobilize to save Austria-Hungary, as Germany did not think France would mobilize to support Russia, and so on until the conflict was continental. There were serious missteps that spread the war – Germany’s invasion of Belgium drew in the British Empire in 1914, for example. Yet all of that ignores the reality that most of the great powers’ elites wanted some kind of major war to establish new balances of power across Europe. This wasn’t a hair-trigger response that dragged reluctant kings, emperors, and czars into a murderous four-year conflict. Czar Nicholas wanted a war to grow Russian power in Eastern Europe, a Russian obsession since the Napoleonic invasion. Kaiser Wilhelm wanted a war to stop the spread of Russian power while asserting Germany’s place at the head of Europe. French elites saw a war as a way to ensure Paris dominated Berlin and not the other way around. In other words, the assassination of Franz Ferdinand and the invasion of Serbia was an excuse, rather than a trigger. If it had not been one thing, it would have been another. The same was true of World War II, where both Hitler’s Germany and militarist Japan actively sought war as a means to an end. Hitler’s invasion of Poland was justified by a false flag; so too was Japan’s invasion of China. The Axis powers wanted war so badly that they actually manufactured triggers. This contrasts starkly with today. First, all elites are fully aware that a third world war would be unpredictable and potentially catastrophic. In fact, they count on it as a means of deterrence. Putin, when feeling prickly, reminds journalists of his still-formidable nuclear arsenal. China will run drills to spook media into thinking some kind of red line has been crossed while not actually mobilizing their armed forces (an expensive task). Despite Trump’s density on nuclear issues (famously not understanding the nuclear triad, for example), the president’s advisors, especially his Secretary of Defense James Mattis, are all too aware of the potential power of a nuclear exchange. As America saber rattles at North Korea (and vice versa), both Beijing and Washington know that a war on the peninsula would only be over by Christmas if there was no one left alive on the peninsula. That is also clearly understood by North Korea’s elites, considering the massive amount of effort they’ve put into trying to find some way to survive a second Korean war. The Sun being super responsible and not at all oversimplifying a probble world-end war. That remains true for a war between Russia and the United States as well. 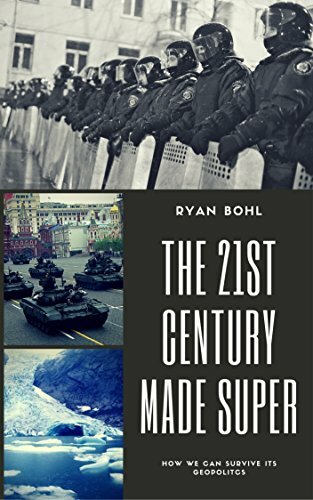 Russia’s invasion of Ukraine was specifically designed to avoid a world war; the hybrid green men, the cyber attacks, the too-clever-by-half referendum and annexation of Crimea, and the refusal to drive on to Kiev were all aimed to deprive NATO of an excuse to launch any kind of counteroffensive. Russia knew it could not roll over Ukraine as Hitler did Poland and get different results. Instead, Putin had to hold back, despite the fact that Russia doubtless could have occupied Ukraine quickly and held off any immediate, non-nuclear NATO response. After all, what would have happened had Putin taken all of Ukraine? A sure-fire insurgency, one that Moscow would never quell with NATO weapons trickling across its long border. That’s presuming NATO did not react as France and Britain did in 1939 and declare a conventional war. Thus, just as when Turkey shot down a Russian jet last year, just as when North Korea torpedoed a South Korean destroyer and shelled a Southern island, just as the USSR shot down a U-2 spy plane and the Soviets shot and killed a U.S. Major in East Berlin, no one incident can cause a world war unless underlying geopolitical conditions warrant it. Those conditions must be an unstable, unclear international system, where powers of roughly even strength are unsure of one another’s intentions and capabilities. All those boxes must be ticked for a great war to erupt, or else the impetus for a long-lasting, devastating world war simply aren’t there. That conditions aren’t present today. Moscow, Washington, and Beijing all know where they stand. They know that the system is dominated by a powerful American alliance system backed by a massive nuclear and conventional arsenal. They have seen this arsenal deployed against smaller foes to devastating effect, even if the superpower cannot manage insurgencies very well. There is no mystery as to how the United States might retaliate to an invasion of South Korea, or a Russian blitz into the Baltics. Politically, militarily, and economically, the global system is currently well-understood by thinkers in all three capitals. That was not the case in 1914, when European states did not fully know their own industrialized power, or in 1939, when Europe was busy being carved up by new ideologies of uncertain strength and abilities. We know that Bashar al-Assad is not Putin’s lapdog, or else Assad might have stepped down years ago. We have seen in the past weeks Assadist forces threatening American ones, and reports did emerge on Sunday of American and Russian proxies battling it out in the suburbs of Raqqa. Yet we did not see a mobilization of force in Europe, nor a deployment of Russian and American air power to combat one another across Syria. There’s good reason for that: both Moscow and Washington would like Raqqa, but will not invite Armageddon to get it. Just too as North Korea recently openly attacked South Korea, it was not enough to drag Beijing and Washington to war. Both America and China would like a united Korea allied to them, but neither is willing to fight the war needed to get there. That’s because neither Syria nor Korea are worth the sure consequences of such a war. And as for the media? The media is both producing and responding to the sense of generational crisis we are experiencing. Small events are blown out of proportion as signs of impending doom, especially as our society, despite the feeling of crisis, is still remarkably stable. It accentuates the feeling while also trying to conform to it. In that, both producers and consumers of media are responsible. Yet media is also in a leadership position, and so if we are to pin responsibility on those most capable, 24/7 cable news packaged as entertainment and geopolitical horse racing is certainly a great maker of the feeling of crisis that keeps World War III searches on high on Google. We must also acknowledge this feeling will be fleeting. While the United States under Trump is genuinely threatening to upend the world system, it has not yet done so; Trump may become an early lame duck if he continues to behave so irrationally, constantly undermining key subordinates, and so the system may freeze in the place of January 1, 2017. He may also lose interest and delegate to his cabinet, which might explain why America’s Syria policy has become both more aggressive and more effective in these past few months. Regardless, unless Trump does something as rash as withdraw from NATO, or unless key allies like the Philippines actually follow through with their threats to switch sides to Russia or China, the world system is actually much as it was under Obama, with a clearly dominant United States holding in check Russian and Chinese ambitions. And so if nothing changes, how long can we convince ourselves that we are in the midst of crisis? Time will tell, but surely not much longer than the early 2020s. isnt world war underway now but by cyber attacks rather than bullets and missiles? I think we’re getting there. The Russian hacking of the U.S. election, Stuxnet virus, the cyberattacks on Estonia, amongst others are all I think the testing of these capabilities. I do expect one day to wake up and not have cell phone service because of such a future cyber war.